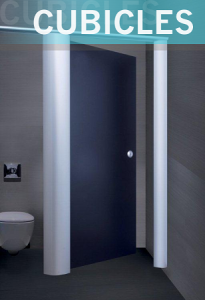 Bedford Washroom Toilet & Shower Cubicles, IPS Panels & Ducting by RDM. 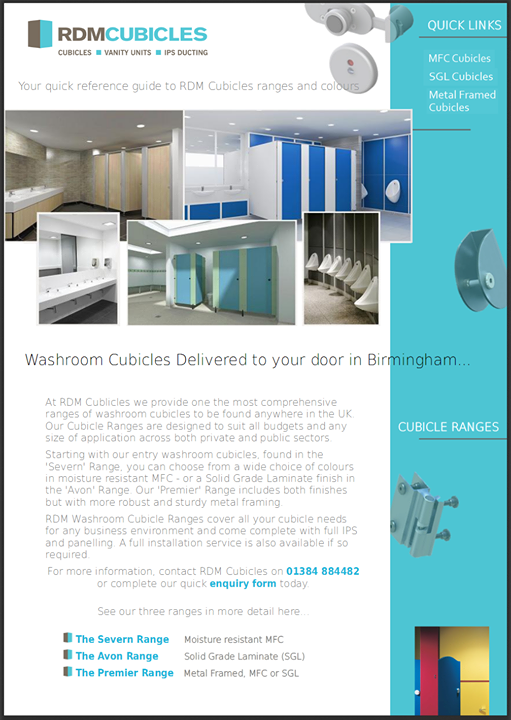 RDM Cubicles are a solutions provider of quality bespoke Washroom Toilet and Shower cubicle systems throughout the Bedford area. Our expansive range of Cubicles, IPS systems and Vanity Units have been engineered and designed to cover almost every installation eventuality imaginable; from Schools to Commercial and Industrial applications together with all kinds of Leisure or Recreational environments. Offering a fast and efficient customer service pledge, RDM Cubicles are based under two hour away from most central Bedford locations and are happy to visit you to discuss your needs and survey the full requirements of you cubicles project. RDM’s Cubicle systems come with a range of colour options and all of our hardware and materials are sourced from only the best known and reliable manufacturers or suppliers. For further information or to book a survey, please complete our quick enquiry form or call us today on 01384 884482. Elstow, Shortstown, Cardlington, Copie, Biddenham, Kempston and Bromham.